Adaptive weed management following any of the three approaches can contribute to lower weed losses and costs. How might farmers, extension-ists, and scientists interact to make this happen.? Precision agriculture is likely to follow the technology transfer diffusion model that has been employed for the promotion of other purchased inputs in crop production (Table 3.2). Off-farm scientists develop the sensing devices for commercial farm machinery, the links for satellite communication, software for field data interpretation, and genetically engineered crop varieties. Select groups of retailers and innovative farmers then pilot-test the products. Custom applicators, crop consultants, and data processing services, with support from public extension in regions with large demand, will make the technology available through contracts. Their focus is likely to be on larger producers who contract large quantities of inputs (Nowak, 1997). Several questions are pending (Hewitt & Smith, 1996; National Research Council, 1997). Will the components of precision agriculture be available to the majority of producers? Who will have access to the data banks of crop yield response by season and soil type? Will the technology be used for yield maximization for a few farmers or to provide the information base for less risky, more environmentally sound agriculture practiced by a majority of farmers who use mechanization? Hamilton (1995, pp. 146-51) concluded that making computerized data analysis/decision aids more hands-on and transparent would improve farmer decision-making. 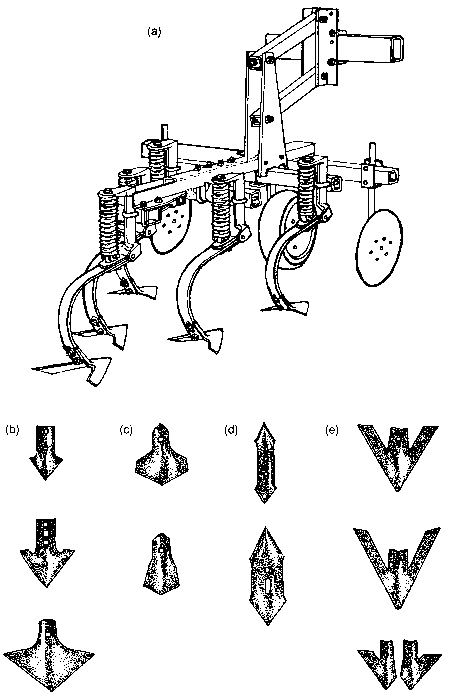 Alessi (1996) proposed that a wider and more diverse group of farmers should participate in pilot-testing of precision agriculture technology. In this way the technology would serve broader community interests. Cardina, Johnson & Sparrow, 1997) and on principles of farmer learning and decision-making. Other terminology that refers to similar procedures includes farmer participatory research (Okali, Sumberg & Farrington, 1994), participatory technology development (Haverkort, van der Kamp & Waters-Bayer, 1991), indigenous knowledge and technology development (Brokensha, Warren & Werner, 1980), participatory research and development (Chambers, 1995), and participatory action research (Whyte, 1991). This or related processes are being used in farmer networks in USA, Europe, Australia, Africa, Asia, and Latin America (Scoones & Thompson, 1994; Thrupp, 1996; Veldhuizen et al., 1997). Why the term participatory learning for action? First, the focus is on all the actions in weed management by farmers. Actions include not just the field practices employed, but information acquisition and use by farmers and their planning and decision-making processes. Second, learning (rather than research) suggests a broad approach to inquiry based on experiments, field observation, group analysis of data from monitoring routine practice, and any other tools that improve weed management. Third, the process should be participatory. That is, farmers, extensionists, and scientists should all contribute to and learn from the process.